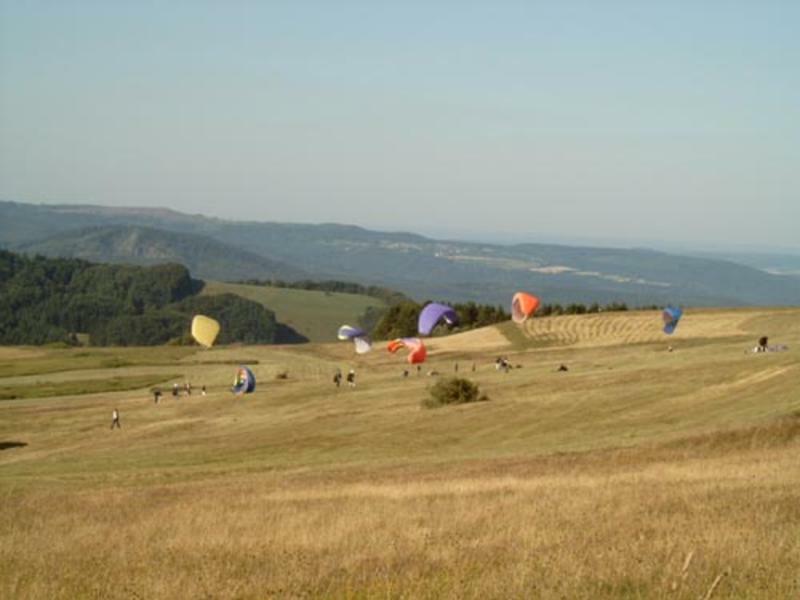 'Wasserkuppe' is known best as the birthplace of motorless flying activities in the 1900s and a lot of these activities are still going on today - take part or just watch them, it is worth it! The hostel was built in the former US army barracks and has been completely renovated. We offer dorm-rooms of up to four beds, some have private facilities others communal. Breakfast is included, all other meals are available at low cost. If you are searching for a place away from the big cities, kind of adventure-like with great views and a history behind, just meet us and others here! Also a great skiing place during winter. no membership is needed to stay, and there is no limit on your stay! Fulda is the nearest city and can easily be reached from Kassel or Frankfurt within just a few minutes via ICE. Take a public bus (no. 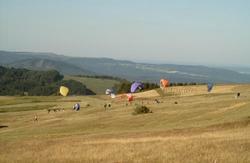 26) three times a day for your 25 km ride to the 'Wasserkuppe', the bus stops just minutes away from the hostel.